Stream HD-quality videos and play online games wirelessly without interruptions or lag thanks to high-speed AC technology. For rapid and reliable wired connections to computers and other Internet-ready devices, the RE6500 includes 4 Gigabit Ethernet ports - offering speeds 10x faster than Fast Ethernet. 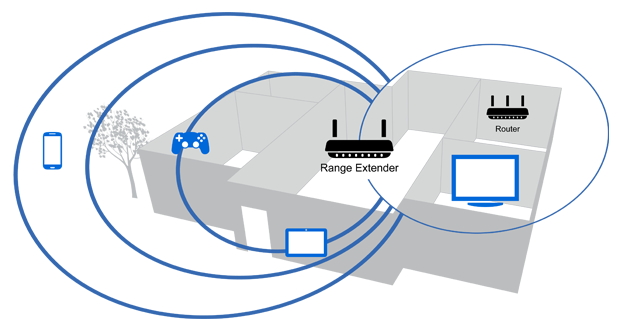 The RE6500 extends the wireless coverage area of up to 10,000 square feet** by repeating and redistributing the signal from the router to eliminate dead zones. It also features Crossband technology, allowing wireless bands to receive information on one band and transmit on the other to reduce dropped data packets. The result is a stronger, more reliable Wi-Fi signal, allowing you to stay connected on your laptop or mobile device from anywhere inside--or even outside--your home. Connect stereo system or audio speaker to the range extender. Stream your music from your smart device or computer. 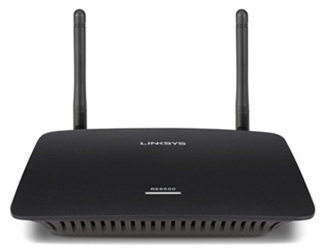 Linksys Spot Finder Technology provides a seamless setup process and helps you determine the optimal placement of the RE6500, allowing you to enjoy Wi-Fi even in the far reaches of your home. 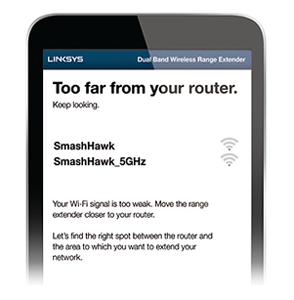 Using any mobile device, such as a smartphone or tablet, Spot Finder shows you where to place the range extender in relation to your existing router. Simply follow the prompts for a quick and easy setup.